Does the winter season bother you? Most New Albany, MS homeowners are caught in a nightmare especially when dealing with their HVAC humidity issues. Without knowing the basic principles that influence humidity, it can be hard to solve the problem. No worries! 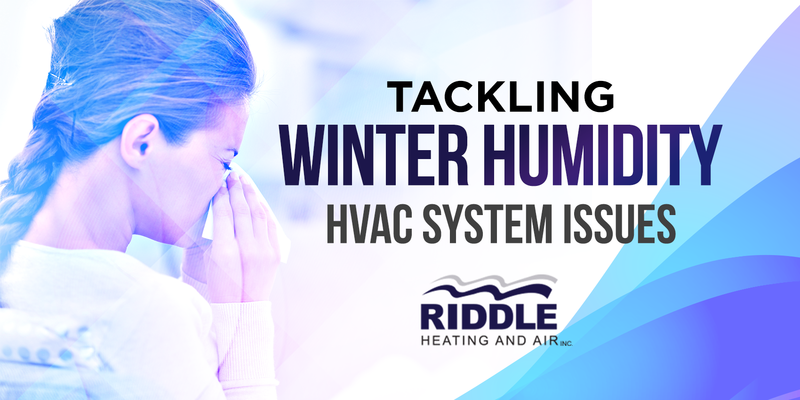 Our specialists at Riddle Heating and Air, Inc. are here to discuss some fundamental humidity principle, common issues, and probable solutions. Humidity or Relative Humidity (RH) is the level of moisture in the air measured in percentage. Today, most contractors use modern test instruments (dry and wet bulb temperatures) to estimate or compute the humidity. Some use a digital psychrometer to get the readings. Without proper humidity level indoors, your home can become more susceptible to winter moisture issues thus, affecting your health and overall well-being. Commonly, experts recommend installing a humidifier. Yet, even with humidifiers inside the house, the air may still be too dry to endure. What causes your indoor humidity to drop? One reason is air leakage. If your home is excessively dry in the cold season, it might have air leaks that remain unnoticed. Since there is a large amount of air moving from outdoors, even a high-performance humidifier will not solve this problem. In solving humidity issues, a humidifier is not always the silver bullet. You have to start by identifying where the moisture is moving and the pathways it travels through. This can be done through a visual inspection. Look for big air pathways and seal or cover them immediately. Address the source of the leaks with professional help. Do you experience humidity problems in your home or commercial space? Contact our experts at Riddle Heating and Air, Inc. for help. We will get the job done right. Has Your Heating System Reached Retirement Age?